The fiftieth anniversary of Aoxomoxoa will be released June 7, 2019 and will include some previously unreleased music. The Grateful Dead never won a Grammy except for a Lifetime Achievement Award in 2007. Original members Mickey Hart, Bill Kreutzmann and Bob Weir now play with Dead and Company along with John Mayer, Oteil Burbridge and Jeff Chimenti. Dead and Company will be performing at Woodstock50. The 1980’s revival of The Twilight Zone featured music by The Grateful Dead in the opening and closing credits. The Cherry Garcia flavor of Ben & Jerry’s ice cream was named after The Grateful Dead’s Jerry Garcia. The band cared deeply about the rainforests around the world and even purchased a jungle in Costa Rica. 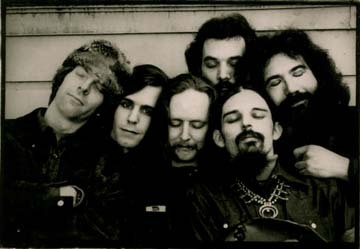 The Grateful Dead played 184 original tunes and 317 cover songs in their career. The band formed in 1965 and disbanded in 1995. The original name of the band was The Warlocks. The band got its name from the dictionary, when Jerry Garcia saw an entry about a folk tale about TheGrateful Dead or Grateful Ghost.